My name is Stella and I am a science special day class teacher (special education) in Oakland in one of the highest population of poverty in the United States. I am trying to raise money to take my students to the Academy of Sciences in San Francisco for a field trip. This will help my students have an authentic experience bringing the abstract concepts of science into life. This will help my students learn in many different ways, promoting kinesthetic, visual, and tactile learning. Unfortunately, the school district and school itself denied my request for the funding to take my students due to lack of funding. Furthermore, my students don't have much of a school experience due to the same reason, lack of funding. This field trip will be very memorable and a fun experience for my students. As a teacher I don't expect all of my students to remember everything taught in my classroom, however, I want them to remember this experience in the future when they look back. My students are resilient young folks, who experience traumas of all types, such as violence, homelessness, systemic disenfranchisement through the education system, etc. On top of all of the outside circumstances, they also have learning differences. They come to school daily to learn and make a better life for themselves and folks they love. Positive experiences like this have a possibility to keep students coming to school instead of dropping out. 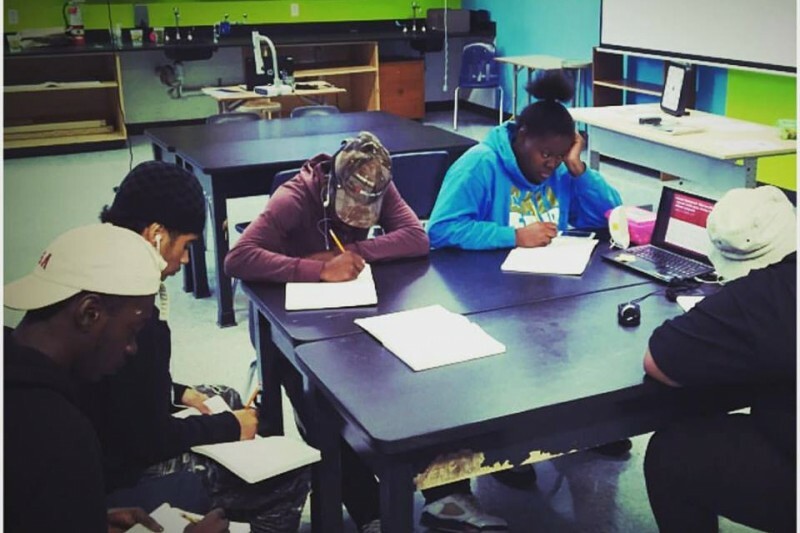 Many of my students haven't ever left Oakland because they can't afford a trip. Please help me take my students to the Academy of Sciences in San Francisco. For many, it will be their first time leaving Oakland. Every dollar counts! Please help me create a memory my students will never forget for the rest of their lives! Thank you everyone, who contributed to my class field trip!! We are now set to go. The trip is booked for May 12th. I will send you picture if you'd like. Words can't express how much gratitude I have. Thank you from the bottom of my heart! Transportation was miscalculated and costs much more than the original calculation. Please help us go to the Academy of sciences..
$500 for the tickets and transportation was raised so quickly, thank you so much!! Every extra penny beyond the cost for tickets and transportation will be used for souvenirs to award positive behaviors. Thank you so very much!! Great idea, hope you guys have a great time. May the force multiply infinitely this numbers and all good causes you patronize.